I recently made the jump to Apple Music as my streaming music service of choice from Rdio because they went bankrupt. Choosing Apple Music wasn’t a tough call especially because I find Spotify’s UI repulsive. Period. That said, I’m not entirely happy with my choice and that’s what I’m addressing in this post with a quick run-down of my likes and dislikes about the service. Curated Playlists – Yes, Rdio had some great stations, but there’s something about the format in which playlists get curated and presented to the user here that is more appealing — especially the ‘For You’ tab. I’ve also discovered a lot of music in the 48 hours I’ve used the service. Win! 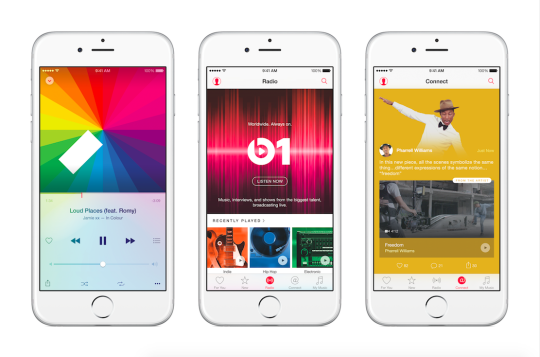 Set any song from Apple Music as your iOS Alarm. Third-Party App support – This is probably my biggest pet peeve about Apple Music. I’m huge on scrobbling music on last.fm – maybe even OCD about it but the lack of support in this area is just plain sad. Syncing plays between desktop and mobile – I’m starting to think they have not/cannot do this because Apple Music works inside iTunes which even Apple fans might agree, is the worst. Lack of a Web app – Seriously, it’s 2015. Apple has a great track record of *not* building web apps for most of their services so I’m more or less convinced this might never happen.